Operation Ready, Test, Go! is a great way to prepare your students for taking tests. James explains to the kids that successful test-takers are like secret agents – they have a plan, prepare for the mission and handle surprises in a calm way! Students will learn the 3 things they must do before taking any test, and the 3 things they must do during the test. By following these simple steps, they will be able to celebrate after taking the test – mission accomplished! James Wand believes that unless the children are engaged and entertained they will not pay attention to the important message. The audience is spellbound by his amazing tricks and captivated by an exciting story of secret agents and evil enemies! James Wand has appeared at the International Spy Museum, the White House, the Vice-President’s residence and on Fox News. 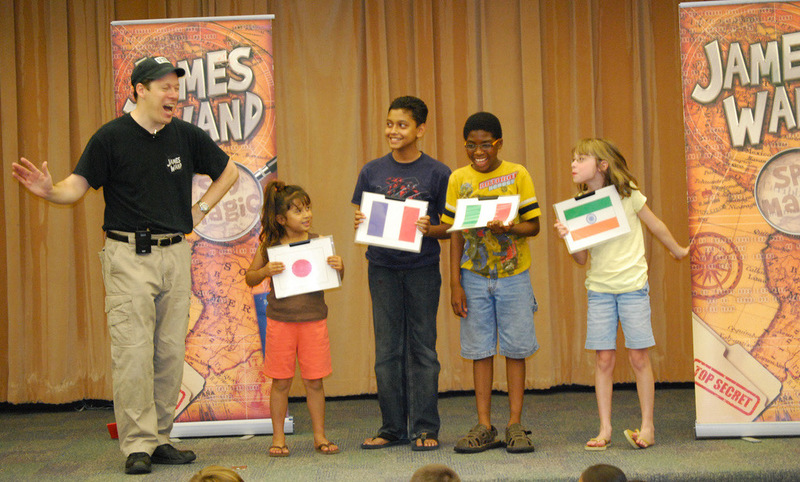 Now, you can bring his exciting magic show to YOUR school!